• The fourth annual Crowfieldfest car show will be 11 a.m.-3 p.m. at Middleton Park in Goose Creek. All show vehicles can start arriving at 10 a.m.-noon. There will be food, and trophies will be awarded at 2:30 pm. Admission is free for all show vehicles and attendees. The “family fun” event typically holds 70 or more cars. Contact Daphne Smith, event coordinator at 843-572-4758 or ARB@Crowfieldhoa.net or visit www.crowfieldhoa.net. • LowCountry Model A Ford Club will mark International Model A Ford Day at Palmetto Ford on Savannah Highway. The club will have a presence there 9 a.m.-1 p.m. for public viewing and fun. It also welcomes any Model A Fords and those interested in the classic car to come out and enjoy the day, which is also celebrated nationwide by the Model A Restorers Club and the Model A Ford Club of America. • Street Rods Unlimited will hold its twice monthly cruise-in at Sonic Drive-in, 660 College Park Road in Goose Creek starting at 5 p.m. All special interest vehicles are welcome. Call Dennis Welch at 843-761-4489 or go to www.streetrodsunlimited.org. • Moncks Corner Cars and Coffee will take place 8-9:30 a.m. the second and fourth Saturdays of the month at Bojangles restaurant on North Highway 52 in Moncks Corner. Park vehicles at the South Carolina Federal Credit Union. Contact Harry Gatlin at 843-670-7074 or Steve Clarke at 843-830-2461. • Walterboro Cruisers will host a monthly Cruise In 6-8 p.m. at Hill Tire on Robertson Boulevard in Walterboro. • Charleston Cars & Coffee, a free weekly cruise-in, will be 8-11 a.m. in front of Atlanta Bread Co. at Mount Pleasant Towne Centre. Another cruise-in this month will be Sept. 29. • The weekly, informal Porsche Club of America-Palmetto Region breakfast is 8-9:30 a.m. at Sunflower Cafe, 2366 Ashley River Road in Charleston. Another breakfast this month will be Sept. 29. • Lowcountry Motor Club, an informal association of car and modding aficionados in the Charleston area, will meet weekly 10-11 p.m. at the Mount Pleasant Pier, 71 Harry Hallman Blvd. Most of the cars are late model imports but anyone is welcome. Visit www.facebook.com/groups/LMCrace. • Mopar clubs weekly “Meet & Greet” will be 7-11 p.m. at Sonic Drive-in, 660 College Park Road in Goose Creek. Chrysler, Dodge, Jeep, AMC and related cars and trucks are welcome. • The first-time Veterans of Foreign Wars Post 9509 Car Show will be 9 a.m.-3 p.m. at VFW Post 9509, 1141 S. Live Oak Drive in Moncks Corner. Car entry fee is $10. Food and drinks will be for sale. Trophies will be awarded for first, second and third place with winners determined by public vote. Call 843-761-8713 or go to http://www.vfw9509.org. • The fourth annual Children’s Miracle Network Car Show will be 9 a.m.- 2 p.m. at Walmart, 2110 Bells Highway in Walterboro. Registration is $20. All vehicles are welcome. Trophies include top 20; first place, best of show and largest club. All money raised will go to the Children’s Miracle Network at MUSC. Contact Diana Bell at 843-539-1550; Ron, 843-701-2676; or Gar Linder, 843-908-0514. • Sumter Cruisers Car & Truck show will be 9 a.m.-3 p.m. at Kmart in Sumter. Sumter Cruisers is the sponsor. • Bessinger’s Bar-B-Q will host its monthly Open Car, Truck & Motorcycle Show from 6 to 9 p.m. at the restaurant, 1602 Savannah Highway. Registration is $5. There are three trophies per class. Categories include cars 1942 and earlier, ’43-’59, ’60-’71 and ’72-2018; street rods; trucks; and motorcycles. The Cruise-O-Matics will perform. • Lowcountry Muscle Car will present the sixth annual Dream Machines Open Auto Show, 9 a.m.-3 p.m. at 201 Sigma Drive in the Nexton community in Summerville. The family-friendly event benefits Summerville Miracle League. Registration is $20. For more, go to http://www.summervillecarshow.com. • The quarterly Lowcountry Shine & Swapp Anything on Wheels Car Show will be 10 a.m.-2 p.m. at Ladson Flea Market, 165 Market Road in Ladson. There are awards for top 10. Donations are accepted, and proceeds benefit Camp Happy Days (kids with cancer). Contact lowcountrymopars@gmail.com. • Cypress Festival Car Show sponsored by Palmetto Cruisers will take place in Pamplico. There are top three awards in 26 classes. Contact Davy McClary at 843-621-1946. • Wings & Wheels Car Show will be 10 a.m.-5 p.m. at Sumter Airport. The event includes rat rods to multimillion dollar airplanes and an on road RC race. Registration is 9-11 a.m. Call Todd Touchberry at 803-983-5430. • The eighth annual Coastal Carolina Mustang Club Grand Strand Stampede will be at a new location at Myrtle Beach Speedway. Coastal Carolina Mustang Club is hosting the show. • Sweet Potato Festival Car Show, sponsored by Swamp Fox Old Car Club, takes place in Darlington. Registration, 8 a.m.-noon, is $20. There are 24 classes, and trophies go to the top 3 in each class. Other awards are for Best Non-Production, Best Production and Mayor’s Choice. Judging is on the point system. Call Al Robinson at 843-496-7207 or Tom Spence, 843-773-0189. • The sixth annual Open Car Show at Jud Kuhn Chevrolet will be 9 a.m.-3 p.m. at the dealership, 3740 Highway 9 in Little River. Honors include best Chevrolet, Ford, Mopar, import, truck and other; best entries 1984 and earlier and 1985 and later, Peoples Choice and Best in Show. Grand Strand Corvette Club is host. Contact Larry Blaine at 843-340-6016. • British Car Club of Charleston presents the 34th annual British Car Day at a new location, Palmetto Islands County Park in Mount Pleasant. The show is open to the public 11 a.m.-3 p.m. for the cost of park admission ($2 per person). All British vehicles including motorcycles are invited to register for the event. Advance registration is via the website, and day-of-show registration runs 9-11 a.m. Advance registration includes admission to the park for two and an invitation to the welcome reception on the USS Yorktown Friday evening Oct. 26. Visit www.BritishCarClubCharleston.com. • Lowcountry Mustang Club hosts the 24th annual Mustang & Ford Show “Saluting Our Veterans” 8 a.m.-4 p.m. by At Home home décor superstore at Aviation Square Shopping Center, 6185 Rivers Ave. in North Charleston. Proceeds benefit Camp Breathe Easy. There will be music with an on-site disc jockey, and food. Pre-registration before Oct. 27 is $20; day of show, $25. Pony corral fee is $15. Awards are first, second and third place plus specialty honors. Mustang classes: years 1964-’66, ’67-’68, ’69-’70, ’71-’73, ’74-’78, ’79-’86, ’87-’93, ’94-’98, ’99-2004, ’05-’09, ’10-’14 and ’15-’19; Roush/Saleen/Steeda; modified; Boss/Shelby pre 1993; Shelby ’05-’09; Boss/Shelby ’10-’19; and concours. Ford categories: years 1949 and earlier, ’50-’64, ’65-’79, ’80-’99, 2000-’19; modified; Thunderbirds; and trucks. Call Duane Helzer, 843-849-1802 or Joe Ingarra, 843-771-5627 or visit www.lowcountrymustangclub.com. • The sixth yearly Rockabillaque Classic Car & Vintage Bike Show will take place 11 a.m.-6 p.m. in Park Circle in North Charleston. Registration is $15 in advance and $20 day of show. The festival also includes more than 30 bands on outdoor stages, pin-up and tattoo contests and a giant block party. Presenting the show are American Biker/Indian Motorcycle of Charleston, Parks Auto Parts and Riders Law Group. Visit www.rockabillaque.com/register. • Stratford High School’s first Stratford Pride Iron Rides car show sponsored by the Student Council will take place 9 a.m.-2 p.m. at the school, 951 Crowfield Blvd. Pre-registration is $15; and $12 for students and veterans. Day-of-show registration at 9 a.m. is $20; and $15 students and veterans. The show opens to the public at 10 a.m. Awards, which include first and second in each class, are at 2 p.m. Honors include best in show, people’s choice, owner’s choice and top student entry. Categories are cars stock 1949 and earlier, ’50-’63, ’64-’75, ’76-’85, ’86-’95 and ’96-present; imports 1963 and earlier, ’64-’85 and ’86-present; street rods; specialty modified; trucks stock; and trucks modified. Food trucks and vendors are on hand. The event will be held rain or shine. Going to a car show this weekend? 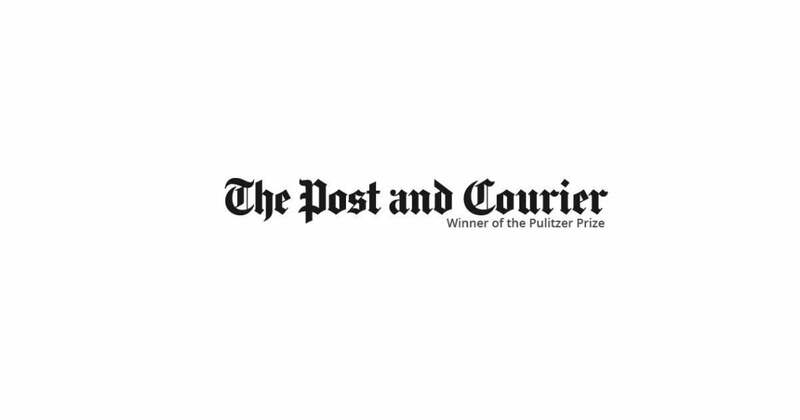 Submit your photos and videos, or send your car show information to Car Show Calendar, The Post and Courier, 134 Columbus St., Charleston, SC, 29403, fax it to 843-937-5778 or email jparker@postandcourier.com. For more information and photos, visit www.postandcourier.com/automotive.